The adventure we were all waiting for. 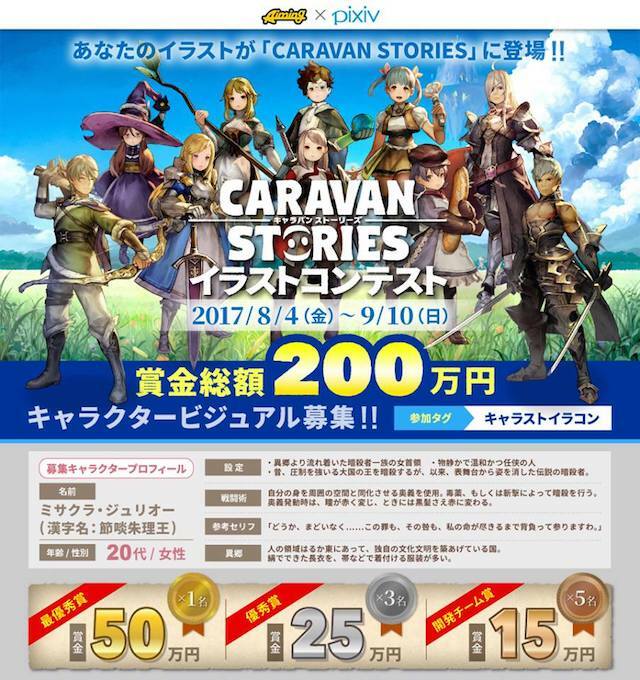 Introducing The Amazing World Of "CARAVAN STORIES"! The clear, blue sky above us... Beautiful cities inhabited by a huge variety of folks... Scary monsters, hiding in the dark... Fantasy adventures always get us excited! 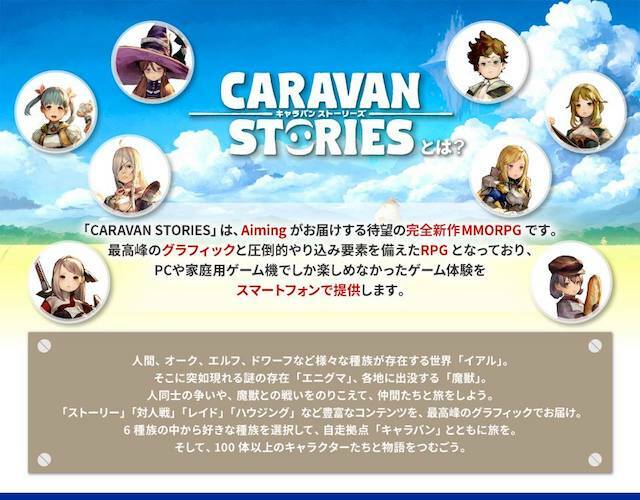 Luckily enough, we found new fuel for our excitement: CARAVAN STORIES, a new MMORPG by Aiming. There's also an illustration contest going on! What are you waiting for!? Check out the article! 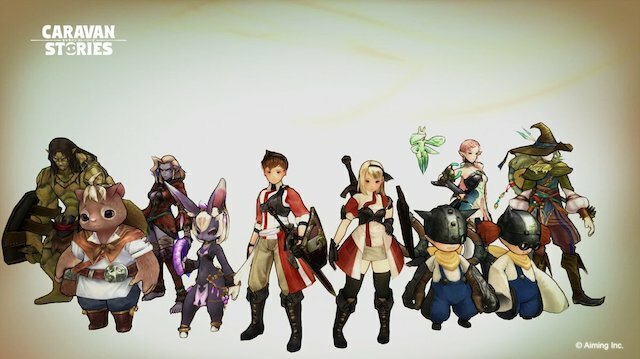 CARAVAN STORIES is a completely new MMORPG, and its official website just opened its doors on May 26th, 2017. Let's check out the promotional video, and enjoy the atmosphere of this game! This trailer looks like an opening movie, especially the scene where multiple races all gather together. 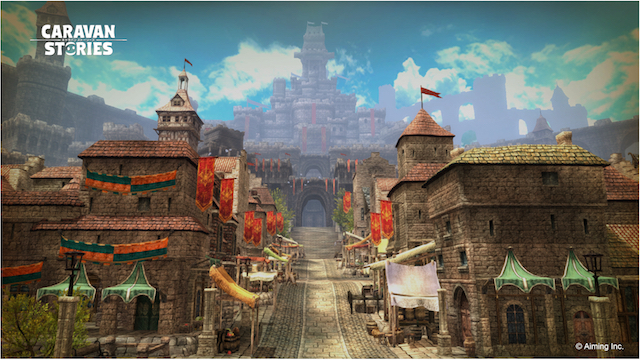 The background art, including townscapes and fields, is also extremely high-quality. Aren't you excited at the idea of taking a stroll in the streets of this town? 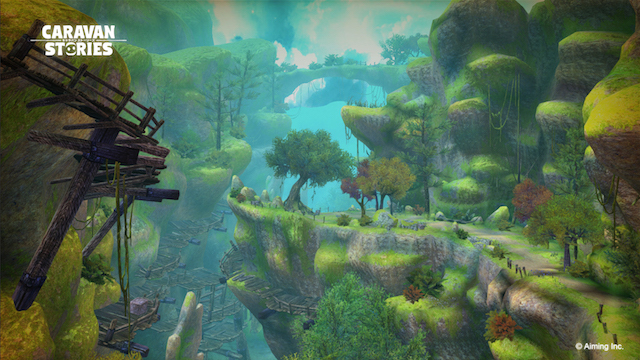 These beautiful sceneries, together with the fantasy atmosphere, will surely enough tickle your adventure spirit. 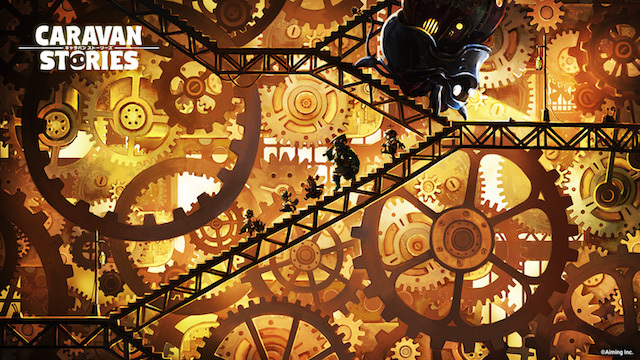 The game also has a neat back story, and the world is drawn with great attention to details. You will be able to enjoy an unique story for each of the races appearing in the title! A long time ago, Gods used to live in this world. However, a war unleashed by the Gods themselves took that world by storm. The earth cracked and the skies opened, leaving that world deeply wounded and in need of help. After a long time, new beings eventually started calling it home - beings of different shapes and natures. 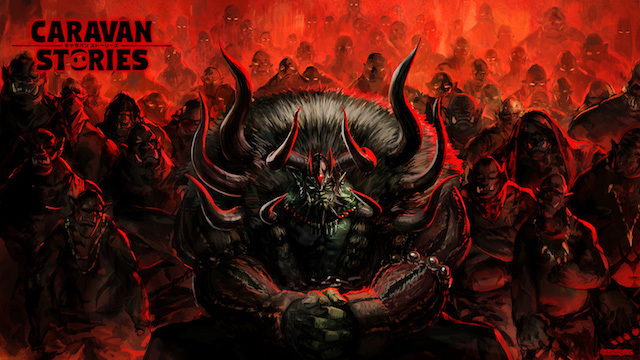 Currently, six races co-exist in the world: Humans, Orcs, Dwarves, Elves, Gessy and Lizardmen. Despite the occasional fights, these six tribes live in peace, keeping a certain distance between each other. That is until a mysterious menace makes its appearance: its name is Enigma, and brings with it all sorts of monsters and evil entities, who will start attacking every tribe with no hesitation. Building a "caravan" will be the only way to defend yourself from Enigma. Will you and your friends become strong enough to defeat this mysterious menace? The concept here is for members of different races to fight together against the Enigma menace. 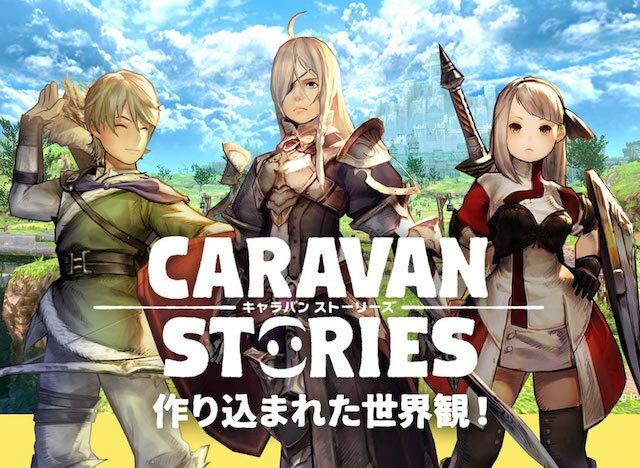 In the second promotional video of the game, released on August 4th, you can take a look at the story of the world where the title is set, and check out your future mobile base - the "caravan". You can also enjoy a fighting scene against Enigma. Let's briefly introduce the main characteristics of each race. Diligent, brave, knowledgeable, self-disciplined. They place great value on their family ties, and are willing to give their lives for them. Some of them, on the other hand, are extremely selfish, suspicious and would do absolutely anything to reach their goals. They enjoy having friends, but they still prefer loneliness. In general, it can be said that they're the most unbalanced tribe. According to the elves, they are the strongest, yet most corrupt. According to dwarves, they're so evil that they deserve respect. According to orcs, they're a wise form of livestock. They are respected and feared. They used to have the greatest power over this world. 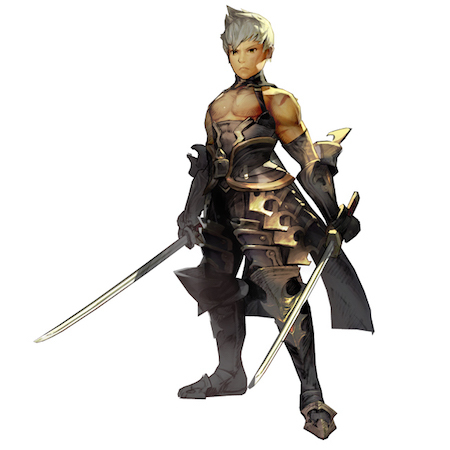 Rough-tempered and boasting intense fighting powers. The most important thing for them is to be good at fighting, while emotions and fears are seen as weaknesses. They take pride in defeating mighty enemies, and the bigger they are, the more pleasing they find it. It's difficult for them to find values other than battle, and weak orcs are usually despised - no matter what their talents are. Their blood makes this race the closest to the Gods. Most of them are extremely intelligent and beautiful. It's said that they've existed since the beginning of time, and they're a race so ancient that cannot be compared to others. 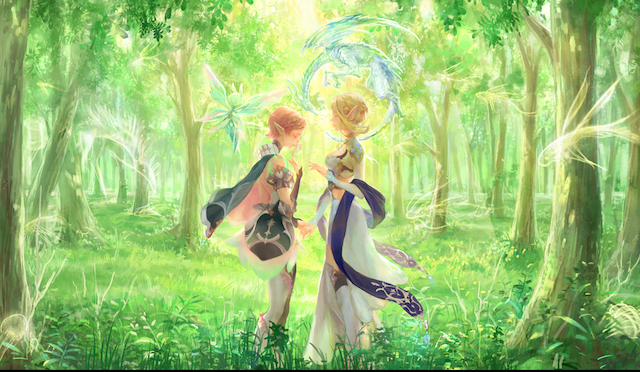 Many elves use magical powers, that have been transmitted between generations since ancient times. Apart from regular elves, high elves and dark elves also exist. They are extremely stubborn and conscientious, and tend to stand their ground once they make a decision. Their willpower doesn't sway, even after suffering from disaster or damages. They are hard workers. They take pride in their manual work, and are great craftsmen. There are also two other races appearing in the game: Lizardmen, similar to reptiles, and Gessy, similar to mice. You would be surprised at how detailed the setting of this game is: there are things such as capitals, territories, slangs, political affairs, history, Gods worshipping, religious views, festivals, military organizations, culture, a transportation network, regional features... And much more! With a backbone like this, we have no doubt that the stories of each race will be equally detailed and breath-taking. The main visuals for each race are so beautiful! Don't forget to check out the official website, to keep yourself posted with the latest news and visuals. 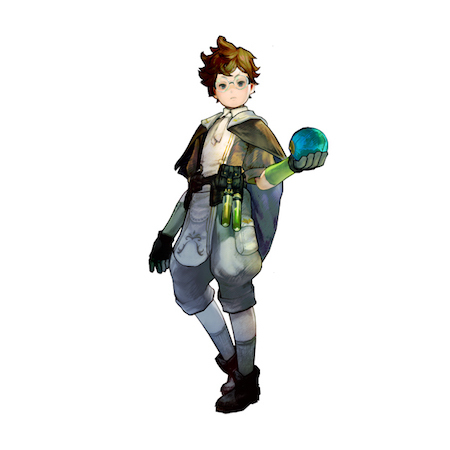 Let's not briefly introduce some of the individual characters appearing in the game. 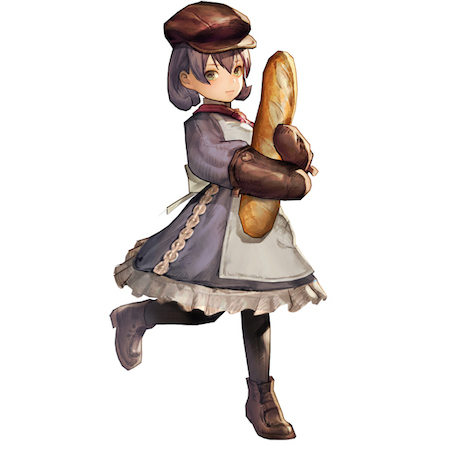 Take a look at the outstanding character design, as well! It looks like this world has idols too, just like Lolomyu! (She's singing in the PV). 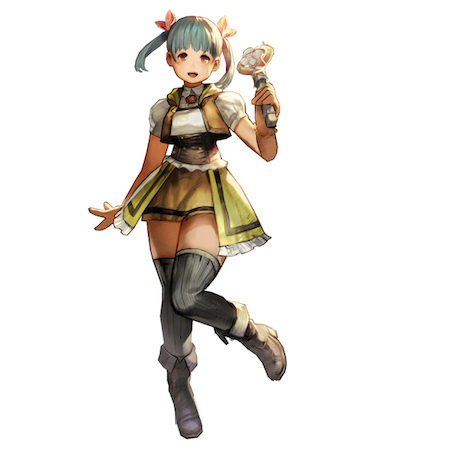 Such a huge variety of characters fully supports the deep story and world setting. What might their stories be? Why don't you try to enclose your excitement in an illustration and take part in the contest? 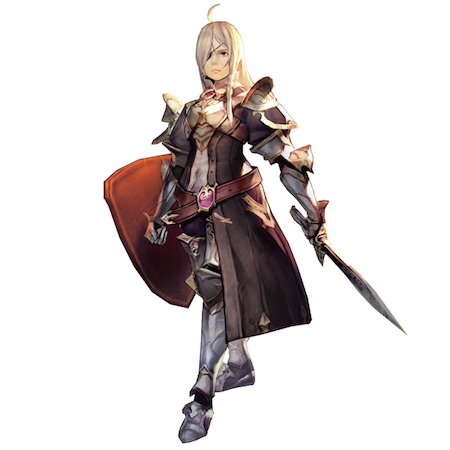 Apparently, they are looking for a girl character in her 20s named Misakura Julio (ミサクラ・ジュリオー). She is the female president of an assassins association, and a Kingslayer who assassinated the Ruler of a certain powerful country. 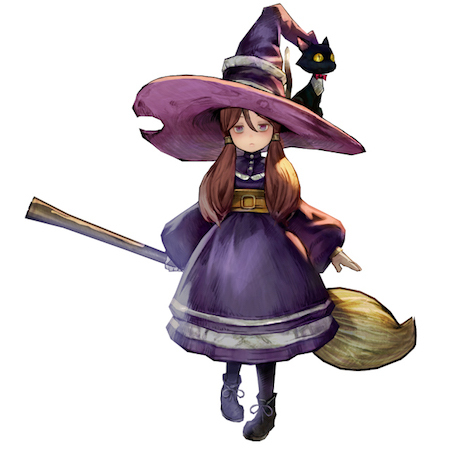 She uses poison and slashing attacks, and has the power to assimilate herself with air. When her esoteric powers unleash, her eyes turn red (her hair color sometimes change from black to red as well). We have no doubts this is going to be a stylish, beautiful, cool character! 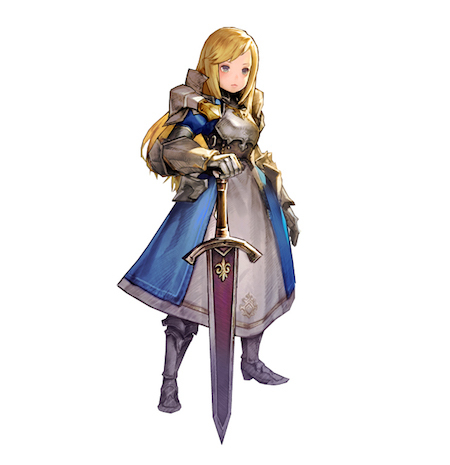 However, her voice tone is very gentle. We are looking forward to seeing both sides of her! CARAVAN STORIES is a story-rich MMORPG that shines with the light of a thousand different settings. What if the female assassin you design ends up being a part of this world? Wouldn't it be so romantic? The deadline for the illustration contest is September 10th 2017 (Sun). We are eagerly waiting for your entries!